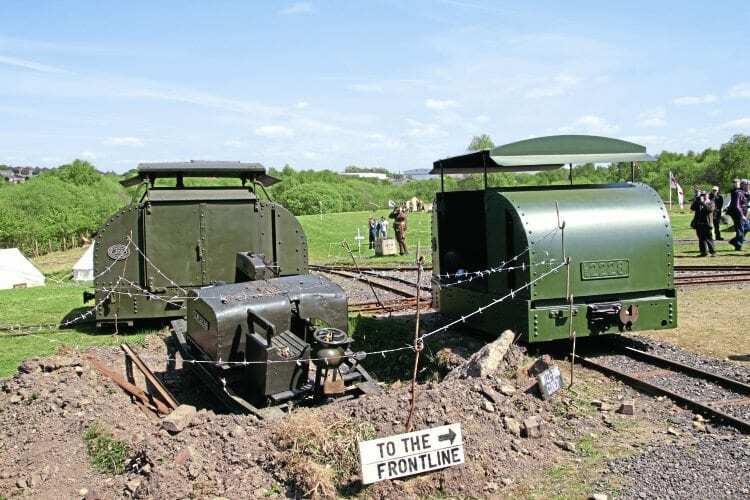 Cliff Thomas reports from the Apedale Valley ‘front line’, where a second Tracks to the Trenches gala was a great success. The event marked the centenary of the start of the Battle of the Somme. MOSELEY Railway Trust’s (MRT) inaugural Tracks to the Trenches event in 2014 was totally ground-breaking. Ambitious in scale and expensive to produce, but MRT delivered in style. 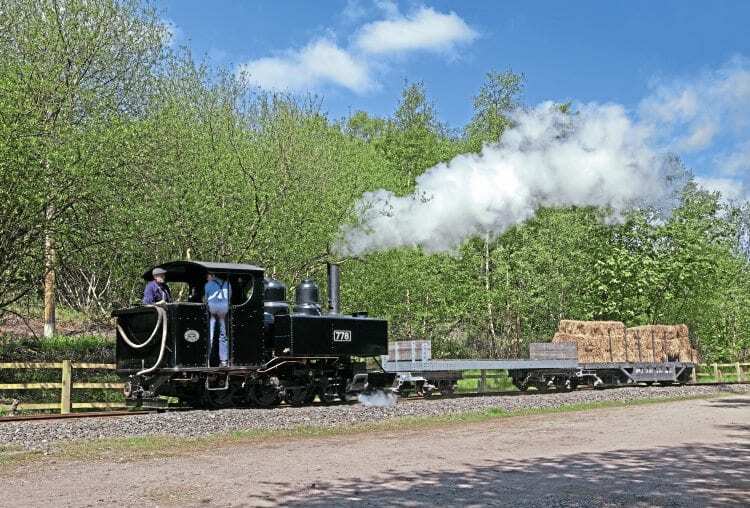 Any question as to whether it could be repeated were brushed aside as MRT presented another narrow gauge spectacular at Apedale Valley over May 13-15, this time marking the centenary of the Battle of the Somme. 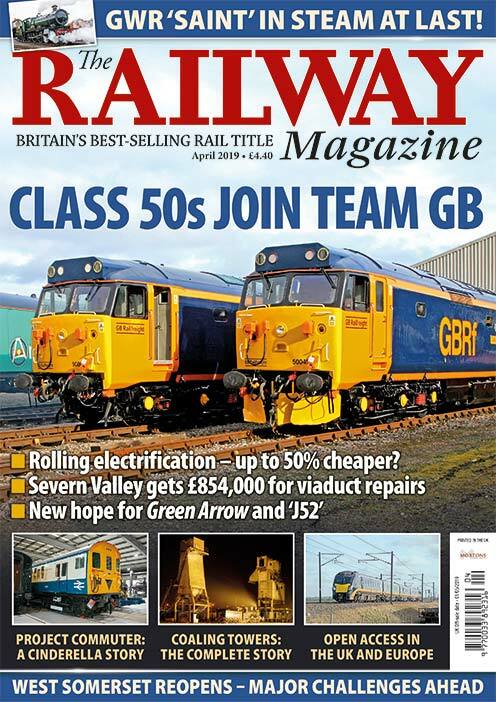 Sponsored by Morton’s Media, publishers of The Railway Magazine and Heritage Railway, the event must be a leading contender for narrow gauge event of 2016. In 2014, the then newly restored Hudswell, Clarke 0-6-0WT No. 1238/1916 was the headline attraction, and the MRT had hoped War Office Locomotive Trust’s ex-WDLR Hunslet 4-6-0T No. 303 (HE1215/1916) would similarly star by making its public debut in steam this year. 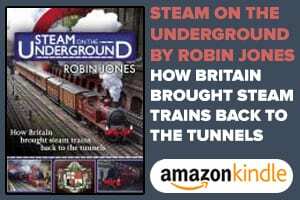 Its owners and the dedicated volunteers worked flat-out, but as it became clear time was running out, the MRT approached Greensand Railway Museum Trust, whose Baldwin 4-6-0T WDLR No. 778 (44656/1917) had been a big success at the 2014 event. Withdrawn last September, the overhaul of No. 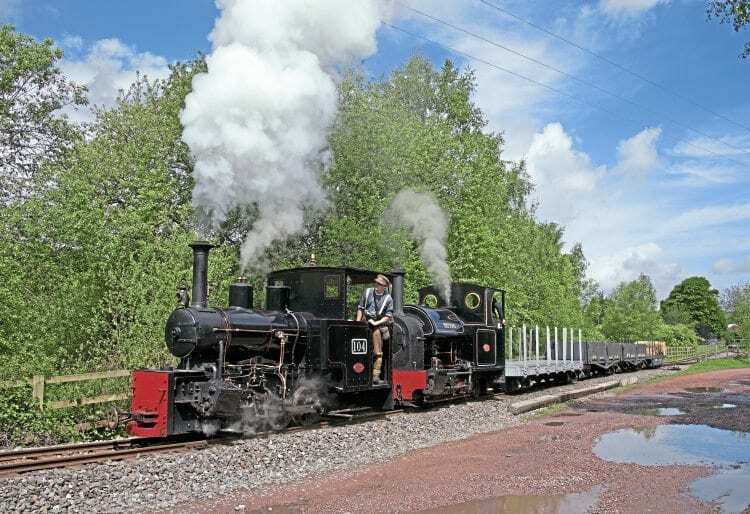 778 was proceeding rapidly at Alan Keef Ltd, aimed at steaming the loco in time to visit France for a major First World War commemoration and anniversary event at Froissy over May 5-8. 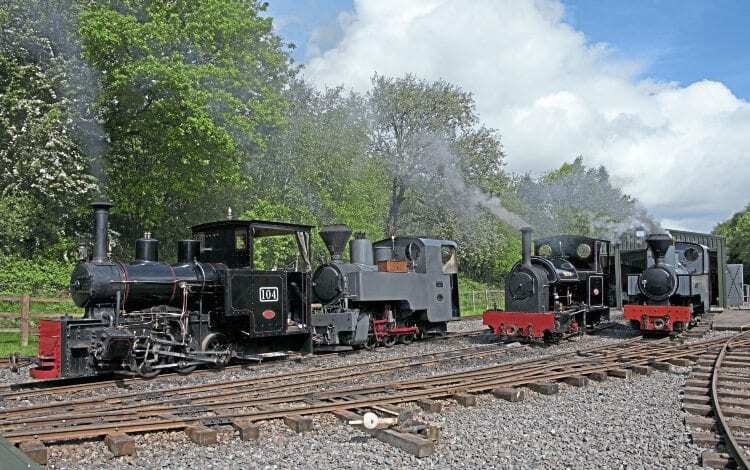 Arrangements were agreed and West Lancashire Light Railway’s Kerr, Stuart ‘Joffre’ 0-6-0T+WT Joffre (2405/1915) and No. 778 travelled to Froissy aboard the same transporter, going direct to Apedale on their return. The latter normally operates as Stanhope, but ran with the nameplates removed to reveal the painted name Tattoo on the tank sides, as it appeared when originally illustrated in Kerr, Stuart’s catalogue. The Ffestiniog Railway’s army-uniformed team – with new-look 4wDM 40hp Protected Simplex MR507/1917 WDLR No. 2228 and Baldwin 2-4-0DM BLW49604 No. 7011 (aka Mary Ann and Moelwyn), and Fairbanks-Morse ‘speeder’ (inspection vehicle) Busta – also came after appearing at Froissy. Further internal combustion visitors included a 1916 20hp Simplex and 10hp Baguley from Welsh Highland Heritage Railway, and Nick Williams’ 20hp Simplex LR2478/1918. Steam action primarily concentrated on the Apedale running line, locomotives handling passenger services, interspersed by demonstration freights being swapped at each end of every trip. MRT’s system at Apedale uniquely features a linking line to a field railway which, eventually, terminates alongside a section of replica battlefield trenches. 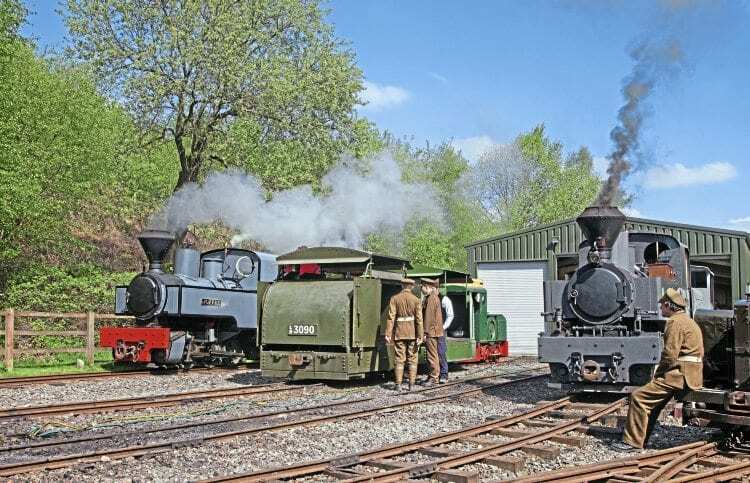 Internal combustion and the smaller steam locomotives operated demonstration trains from the loco shed yard onto the upper part of the recently extended field system, with smaller locos continuing up to the ‘front line’. The intensive rail activity was supplemented by a tented camp with re-enactors presenting battles at the trench system and cavalry displays in the field arena, both complete with authentic-sounding gunfire. There was also First World War-era motorised transport. 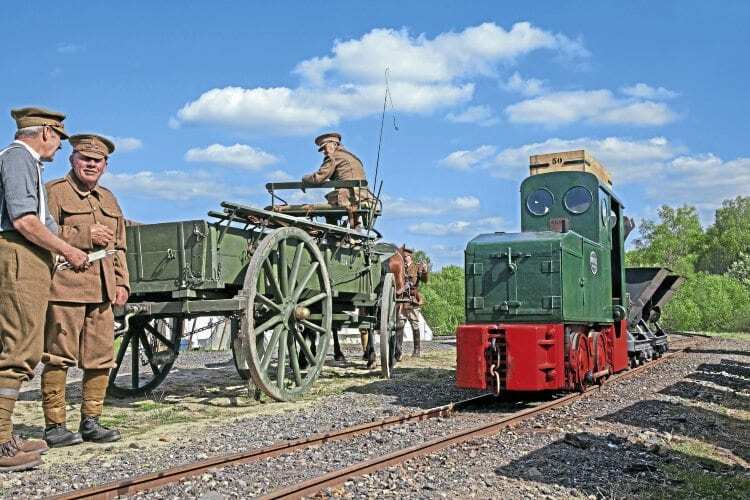 Thanks to a £10,000 Heritage Lottery Fund (HLF) grant – to interpret the role of horses in civilian industrial railways and delivery of supplies to the front lines during the First World War – horses, mules and horse-drawn vehicles featured in the weekend. 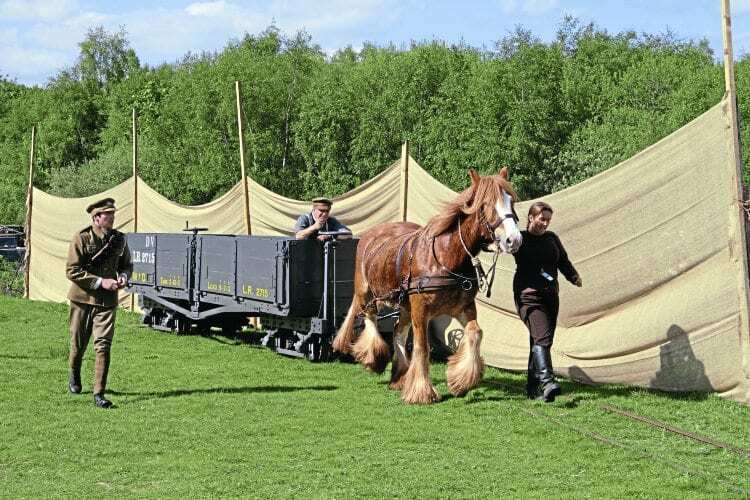 This included the novel periodic display of a horse hauling a First World War ‘D’ wagon. Also linked to the HLF cash is the building of a trench tramway wagon, which was demonstrated to visitors. Perhaps the big surprise was newly arrived Baldwin 0-4-0PM ‘tractor’ in as-found condition following its purchase by MRT members from a scrapyard in Switzerland. The locomotive is currently standard gauge, but conversion to 2ft gauge will be undertaken when restoration starts. The loco is of the same type as Ffestiniog Railway’s 2-4-0DM BLW49604/1918 (Moelwyn), except the latter was rebuilt in 1956/57 with a diesel engine, and received a non-original front end, incorporating a pony truck. In 2ft-gauge form these machines were outside framed, but to run as standard gauge the wheels were fitted outside of the frames on appropriately longer axles. 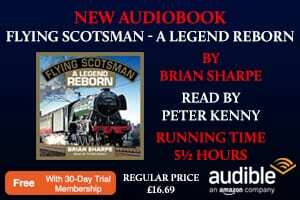 Constant demand for seats on the passenger trains indicated a roaring success, and with action everywhere over the large site and great weather what more could one want? Well, a Tracks to Trenches 3 in 2018 to mark the Armistice perhaps? It is a distinct possibility!